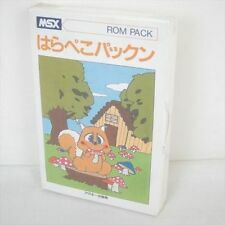 Home » Forum » MSX Talk » Software » MSX3 is already available! I would like to see real hardware because it's an interesting project. The reason why MSX-BASIC has linenumbers, is that it is not exclusively FILE BASED as minimun requirements, so, it don't has a "TEXT editor" as console, so you needs to set up line-numbers for telling the BASIC wich part of the program each line is suppose to be. 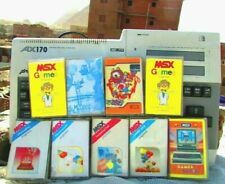 SO who took the msx(c) with him? and yes basic is still under copyright of microsoft. I hope the will let it go soon... so we can make a new version for all ar msxc hardware projects. To finish off the gear. ASCII is a Japanese company and basically a publisher of books and periodicals (magazines). Just participating actively in the development of several Japanese microcomputers. It has been selected by Microsoft to be its representative in the Japanese market. 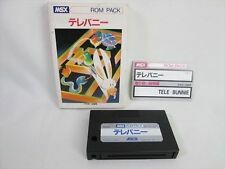 After the initial development of the MSX standard came into conflict with the ASCII / Nishi regarding patents. Microsoft did not know but there was legislation to preserve the development of technologies by Japanese firms which eventually resulted that Microsoft would have sold their rights to the MSX for Nishi, ended the partnership with ASCII and open your own branch to protect their interests. Needless to speak of the wrath of Bill Gates because he had plans and was invested enough. Microsoft reached afford the cost of going from Tim Paterson to Japan to complete the port of MS-DOS for the MSX, since the work originally done in the United States and sent to Japan would have presented many bugs. So it turned out that the standard MSX does not have the copyright linked to Microsoft or ASCII Corporation. Perhaps as you said the MSX-Basic and BIOS are still Microsoft. But probably these rights or have expired or are in the hands of Nishi. But our friend says that Microsoft would have the copyright of all and this is not true. Besides used rude language in the forum as implying that it is that is correct when you're not at least completely. These facts I brought to clarify the situation. I do not remember where I read the text, but facts are reported in a book by a former Microsoft ex-employee. Also shown in text on wikipedia about Tim Paterson the following: "In 1983, Microsoft contracted Paterson to port MS-DOS to the MSX standard computers that they were developing with ASCII. Paterson accepted the contract to help fund his company and completed the work on. the MSX-DOS operating system in 1984. " does not have a new chipvideo instead of v9958 or v9978. The problem lies not in the compatibility of the systems but in the table of names (screen 1,2,4) and sprites! This problem affects the old chipvideo. 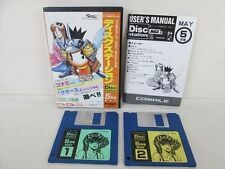 And it's not MSX3. P1 and P2 it supports the table of names, excellent hardware v9990 but no msx3.